Opening/Synopsis: “My name is Brown. I spend a lot of time in a pencil box with a bunch of other colors. We are all different. Some of us are sharper than others. Some of us are long and others are short.” Brown is the tallest pencil in the box. This means he is the least used pencil in the box. And he doesn’t feel like he fits in very well with the others. “I don’t have much to smile about. I am Brown, tall geeky and lonely…that’s me!” Brown envies Red, Blue, Orange, Yellow, Green, and Purple who color and play together. Blue gives hugs. Orange likes to have fun. Green is honest. White keeps the peace. Pink listens. And everyone loves Red. When Brown talks to Blue and Green, he learns that if wants good friends, he has to be a good friend. So he asks all the other pencils why they don’t like him and learns a lot of surprising things about himself. It is Black who points out that “when all the colors are mixed together they make Brown.” He has all the colors inside him. Will he be able to use all the other colors to like himself, recognize his own strengths and be a better friend? 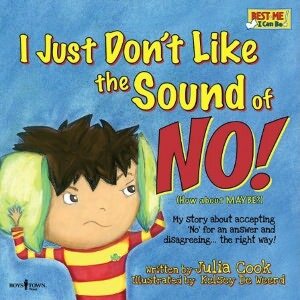 Why I like this book: Julia Cook has written a humorous fun and colorful book that all kids will identify with. What better way to teach kids about differences than through art. There are tall kids, short kids, popular kids, shy kids, happy kids and sad kids in every classroom. Differences add to the dynamics of the classroom. This book really focuses on helping children building interpersonal relationships with other children. Bridget Barnes’ illustrations are bright, lively and expressive. 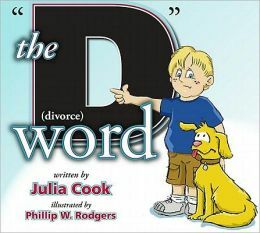 This title is the first in a new series of Julia Cook’s books focusing on relationship-building skills for children. It is perfect for the classroom. Resources: There is a backpage at the back of the book with constructive tips for parents, teachers and counselors to work with kids in building the life skills they require to be a good friend. In the classroom, ask each child to pick the color of a pencil he/she feels they could identify with most and why. This will make for an interesting classroom discussion. Visit Julia Cook’s website, to view the many books she has written. 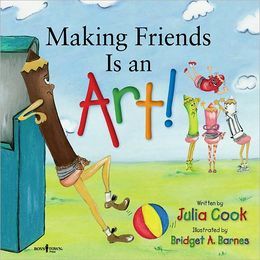 Posted on February 8, 2013 by Patricia Tilton •	This entry was posted in Friendship, Julia Cook, Perfect Picture Books and tagged Differences, Friendship, Interpersonal Relationships, Self-confidence. Bookmark the permalink. What a brilliant book, Pat. Love the colour/art idea and from a coloured pencils point of view, too. Julie Cook is certainly very creative. Makes you think “why didn’t I think of that?” Like your activity with the kids too. That would make for some very interesting discussions. Thanks for sharing, Pat. Diane, always enjoy that you are among the first to review my posts. They are alway so lovely. You know I’m a fan of Julia Cook. Unfortunately, few of her books are in my library. But, they always hit childhood issues. I love the sound of this, Pat and it is so creative and original. I bet it inspires kids in lots of areas. It is a very creative approach. It grabbed my attention because I was working with Peter Reynolds last summer, and we had to give a very detailed discription of a person. I decided to pick a red crayon — never realizing this book had been written — and completely caught the class off-guard. So, I was eager to see what she did with this story. It’s a wonderful story for kids. But, I think older kids really get it. What a cool idea for a book! Very creative and different, and what a fun way to engage children in thinking about differences and making friends. Thanks for sharing this one, Pat! Susanna, I’m glad you enjoyed the review. This has been on my list to review for a while. I just love Julia Cook’s books. Each one a treasure! What a delightful take on relating to differences!!! I did a lesson one time using 2 pencils–both in good shape, but one very short….never thought of using crayons. I must find this and use it with my class. Thanks, Patricia. Laura, she used colored pencils. You and I had similar thoughts today in our selections. Glad you liked my share. Julia Cooks are great classroom books, many come with special activity books. Sounds interesting. The cover illustrations look a bit “odd” to me–I’ll leave it at that. Wendy, your comment is honest and interesting. I see it as Brown feeling left out of the fun of the other colored pencils. He frowns and wants to be part of the group. Love this idea! Especially the part ”when all the colors are mixed together they make Brown.” Lovely way to show that we are more alike than different. Thanks Pat. Janie, that’s my favorite part too. I fell in love with the book. But, I love anything Julia Cook writes. What a neat way to share this message. I was disappointed it wasn’t in my library. Stacy, I have found her books hard to find at the library, so I purchase them. Some I give to my great granddaughter, other’s I donate to the library. I don’t know if it’s because of the publisher. They really are great classroom books and I a lot of teachers use them in the classroom. You should glance at her website and titles. Enzo would love them. Craig, you have a special wisdom. Love your thoughts and comments. I think internal bullying can even more damaging. Hadn’t thought about it from that perspective. Thank you so much for sharing my review. You should check out her website as I think you’d like some of the titles — unique child issues. I’ve revewed a lot of her books. I love this vibrant way of celebrating and enjoying differences! Thank you Joanna. This book does celebrate differences. Sweet! Brown is not usually the least used of my pencils, but maybe that’s just me. This is a lovely lesson. Genevieve, I’m glad you enjoyed the book. I used brown a lot to color tree trunks as a kid. But, it does have a great lesson. The title is so clever! Cathy, I liked the title and the use of art to teach a lesson. What a creative concept! I’ll have to check this out. At first, when I saw the title alone, I thought, no, it’s not, in a philosophical and hungry-for-lunch sort of way. But after reading your review, I can’t wait to have my initial reaction ‘drawn’ and quartered! Julie, I hoped the artists would check this out! It really is fun and creative book. The irony for me, was that last summer I studied with Peter Reynolds. One of the many assignments he gave us, was to give a very detailed discription of someone. So, I chose a red crayon and had everyone fooled until I hit them with my last line. I hadn’t seen this book, so I was drawn to it initially because of the exercise I did with Peter and the similarity to my description. 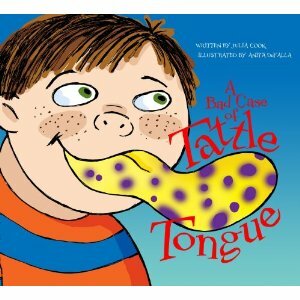 But, I am a fan of all Julia Cook’s books because they help kids laugh at their behavior. They also learn something. Thanks for stopping. Oh, Pat – Julia Cook is brilliant! Have you read the one about the Bubble Wrap girl? Her books are so engaging because of their authenticity, I think. Barbara, No I haven’t read that one. I’ve read quite a few. Thought you may use them in your classroom. I just love her work. This is a GREAT book, Pat..thank you for sharing it and for such a wonderful review. To write a book about a box of colored pencils that helps teach about diversity and friendship…that is unique. Yes Vivian, it is unique. Fun book for the classroom or homeschoolers. This looks like a very clever book. Colored pencils! What kid doesn’t love their colored pencils! A great way to connect. thanks for the review. I’ll have to check this one out. I’m pleased you enjoyed this very creative book about friendship and diversity. Great for the classroom. This sounds like a great book! It has a very unique story and way to teach! Thanks Erik. I’m glad you liked my selection. Beth, thought of you as I reviewed this book. Loved the creative approach using art. Thanks for stopping.